Jocie Brooke lives in Hollyhill, Kentucky, a small town known for its lack of news. Life changing events very rarely occur and when they do they’re few and far between. However, in the summer 1964, they all happen at once. Everything seems fine but Jocie keeps thinking everyone has a secret they’re hiding from her and themselves. As she starts digging into her family’s past she uncovers a whirlwind of secrets. Jocie doesn’t know what she’s doing nor does she intend to uncover anything, but a few well placed questions and some accidental stumble-upons change not only her summer but her life forever. Some prayers are answered for this thirteen year old and some she didn’t even think to say are answered in different ways. The further Jocie’s accidental digging goes the more Jocie finds and some of the secrets she uncovers have been buried for over forty years. Her father has tried to protect her and he’s done so, but he can’t protect her from everything, not when more than in person knows. This is the summer of discovery, lost innocence and answered prayer. This is the summer when life as she knows it ends. Will Jocie uncover a little too much about the secrets her family holds or will she find just enough to answer questions without changing her life? 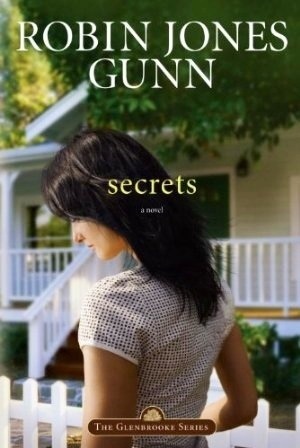 Will Jocie handle the secrets she finds well or will it change her view of the secret holder forever? Will Jocie’s faith be able to hold her through this summer or will it test it too much to hold on to? I’ve read a book last year by this author and enjoyed it, so I wanted to review this one. I didn’t quite know what it was about other than it involved secrets and that interested me. However, though this was a good book this wasn’t really my type of book. It’s no bad it’s just not what I would naturally lean towards. I do plan on finishing the series but this wasn’t what I expected and wasn’t the light-hearted read I was looking for. The premise of the story is great and I think the execution of it was too but I think after reading two or three books that weren’t your average light-hearted read, this probably wasn’t the best book to read on the tail of those. This book is good though. The secrets unfold in perfect sequence and intervals and though most don’t surprise they do answer questions that are asked at the beginning. The author does leave a few unanswered for the next book though and it makes you want to come back for more. The characters in this book are each important but I feel like there could’ve been some more depth to some of them. I liked the quirks each one had and their attitudes towards life and faith. You even get to see some of the characters grow towards the end of the book. You also start to see the possibilities for romance for the next book and possibly some more conflict if my suspicions are correct. The characters aren’t perfect but they don’t take away from the story. Like I said before this book is good but it wasn’t what I expected or really wanted to read right now. I think if I had just gotten off of a romance binge this book would’ve had a better reception with me, but because I hadn’t, it just didn’t hit the mark for me. This book is well written and well developed and, despite my misgivings with, it was an enjoyable read just not a light-hearted one. I do look forward to the next book in the series and maybe it will get a better reception, for many reasons. This author captured my heart last year with her unique romance. This year her book didn’t thrill but didn’t ruin me to her. She writes amazingly and all of the stories that I’ve read by her (grand total of two) have been well written and amazingly developed. 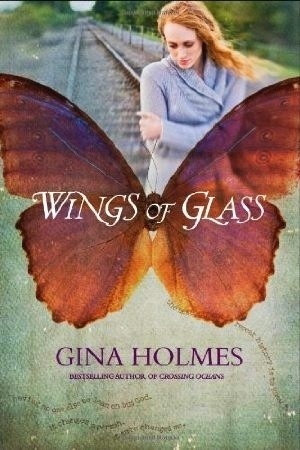 This book should e a hit for those who don’t want a romance or for those who want a break from the romance novels. This book wasn’t for me but I recommend this solely for how it’s written. Overall, not what I wanted to read but a well written, great development, and good characters. This book is perfect for those who want a change from the normal. This book is from the point of view of a thirteen year old so if you don’t mind some questionable (but well handled and not too graphic) situations then teens of around that age can read, as well as adults and older teens. I give this book a three out of five. Hosea has been given a difficult command from God, marry a prostitute in order to show God’s people the nature and depth of His love for Israel. He goes to Israel to proclaim the Lord’s message to them, he meets his childhood friend, who is now a prostitute. He’s determined to follow God’s command even if it means that he has to marry a woman that will only bring him heartache. Gomer was sold at twelve to advance her father’s political position and has spent next years bitter and unwilling to trust anyone. After an almost deadly incident with the commander of Israel’s army, Gomer is broken and useless as a prostitute. When Hosea’s proposal becomes her only means of escape, she does what she does best, she survives. As the tension thickens between Israel and its enemies so does the marriage of Hosea and Gomer. Hosea wants to follow the Lord but what He’s asking seems impossible. Gomer struggles with trust and wanting to escape and in her desire to escape a husband who’s never there and a God that seems too cruel, she does the unthinkable, goes back to prostitution. Will Hosea be able to keep the Lord’s commas or will he fail his hardest task? Will Gomer ever be able to trust and love or are whores really beyond redemption? Can Hosea show Goner that God isn’t a God of punishment but of love or will he lose her to a piece of clay? Will Gomer realize that love isn’t found in the arms of many men but the God who created her? I’ve read this author’s previous book and loved it bittersweet ending and all. So, I was extremely excited to get to review this one as well, but I never expected to get the kind of book that I got. Her previous was emotional and you felt for Arielah as she struggled with sharing her husband. This one is slightly different. In this one you feel for Hosea as he struggles with loving someone who doesn’t want to be loved and keeps throwing that love in his face. This book was so much more emotional than the last and I loved it so much. The romance in this book is more of a progression of Gomer learning that love exists and isn’t what she thinks. It isn’t a pretty romance and definitely isn’t one that makes girls swoon, but it is one that has purpose and shows clearly the unconditional of God. I know this author struggled with making it seem realistic and let me tell you, she succeeded. This book broke my heart and lifted it too. I don’t think I’ll ever forget about Gomer ever again. The storyline of this book is a mixture of Scripture, history and plain imagination. It’s a concept that is hard to swallow yet believable somehow. I found myself thinking the entire book “I wonder if that happened like that or is she even close.” Not in a bad way though. I want it to have happened like that but I don’t know. What I do know though, is that this book is amazing and so much better than her previous and that or was fantastic. This author should be greatly proud of this one. The characters of this book are lovely. I loved the side characters and their insight and love of someone with a less than sparkling past. I found myself wanting Yuval to exist and I wanted her to be in my life with her wit and wisdom. I felt great compassion for Hosea because I know no man would have been able to overcome an adulterous wife without the Lord’s help. For the majority of the book I didn’t like Gomer at all but a little after halfway through the book my viewpoint changed to one of pity and about three chapters from the end changed to complete happiness and wonder. Gomer, despite her flaws and awful antics throughout the book, is the one who grows the most in this book and is, believe it or not, my favorite character, after Yuval. how her romances aren’t the usual and are filled with drama and spiritual growth. I have found my new favorite biblical fiction writer and it looks like she’s going to stay there for a long time. This book and author come with the highest recommendation. Overall, an incredible book that is filled with drama and wonder and grace. It’s not an easy or light read but one worth reading and I can guarantee that you can find some of yourself in Gomer. 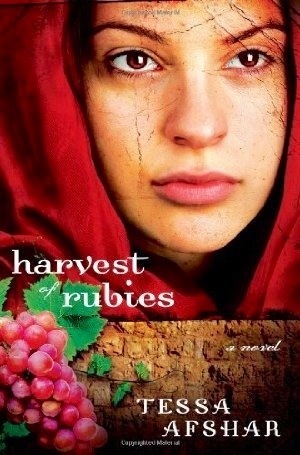 This book is perfect for biblical fiction lovers or for those who want a romance of a different nature. I think this one is best kept for the adults. I give this book a five out of five. 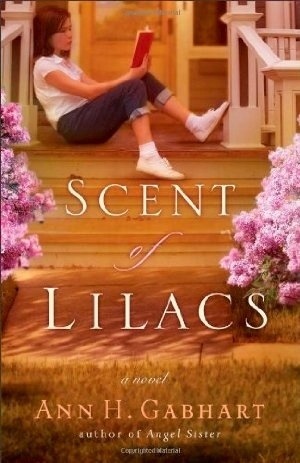 Penny Carson is an eighteen year old on the cusp of adulthood when the handsome farmhand, Trent Taylor, invades her life. Swept off her feet by the confident swagger and commanding presence, she sees him as her Prince Charming. With him offering an escape from her one-stop-sign town and the promise of a happily ever after, it isn’t long before they rush at breakneck speeds to the altar. Before the ink even dries on their marriage certificate, Penny’s dreams of happily ever after are shattered when he hits her for the first time. It isn’t the last time and over the years the abuse continues. Trent won’t stop drinking and Penny will never be good enough to please him, making a never ending circle that seems to have no end. The physical evidence of his abuse heals over time, but the wounds that no one can see are the ones that hurt the most. When Trent goes blind from a welding accident and his paycheck stops, he has no choice but to finally allow Penny to get a job cleaning houses. There she meets two women from very different worlds who will try to teach how to live and laugh again. For once in Penny’s life, her luck seems to have turned and she starts to learn the benefit of friends that will lend her their backbones long enough for her to find her own. Will Penny leave Trent or will she spend her life being abused? Will Trent finally change or is his change just empty promises? Will Penny’s friends be able to teach her that getting hit isn’t love or will she never realize it? Will her newfound freedom break her out of the clutches of her abusive husband or will she give it up freely when he tells her to? Having never really read a book focused solely on abuse I didn’t quite know what to expect except that I was most likely going to go on an emotional rollercoaster trip. That hunch was correct and I was taken to a place that all too many people go to and, sadly, too many people don’t survive. I was given a glimpse into abuse and it’s something that I won’t forget any time soon. The topic is heartbreaking and the author’s portrayal of it is heartrending and absolutely life changing. The story is set in a memoir style or letter like narrative that I felt gave it an added edge and a uniqueness that makes it memorable. The narrative also made it seem more personal and the author’s skill showed through her perfect descriptions that weren’t too overwhelming. Though, I would’ve liked to have had some portions from Trent’s point of view, I felt that the author made a good choice choosing the style that she did. The characters in this story are realistic and unique. Each character seemed like a character that you could meet on the street and I liked how each characters behavior made sense and was completely realistic. The thing that I enjoyed the most about the characters was her portrayal of Trent. The author didn’t portray Trent as just a mean guy but as a guy with an alcohol and anger problem that wants to change, he just doesn’t want to fix the root of it. In the end of the story instead of feeling anger or hatred toward Trent, I couldn’t help but feel sorry for him and the problems he had. The book was missing a bit of family history for Penny and Trent. The book touches on each but doesn’t really go into detail and I would’ve loved to have seen why they both turned out the way they did. This detail doesn’t really detract from the story but it definitely leaves some holes that left me wondering and guessing. The plot of this story is a good one. It never left me feeling bored and kept up the same general pace throughout the story. Though, this isn’t a genre I intend to revisit often, this book was great and gave me a look into abuse and why victims act the way they do. I liked how this story progressed and how this story isn’t one that you’ll ever really be able to forget. This is my first by this author but I intend to read more from her. She was able to portray a sensitive topic realistically, keep me entertained, and do it all really well. This story is very well written and is overall a great book. This book was a nice change from the normal books out there and I fully intend to go back to this author when I want something a little different. I highly recommend this book and author. Overall, this is a great book that gives you a glimpse of what goes on behind closed doors. This book is perfect for people who like stories that are more intense or for someone who wants break from the same old stories. I don’t think this book is good for kids but it’s perfect for adults. I give this book a four and a half out of five. Well, I think I’m getting faster! The first book took me twelve years, the second about eighteen months, and I wrote Love in a Broken Vessel—start to finish—in a year. My fourth book (just turned in the rough draft March 1st) took six months from first day of research to clicking “send” to my editor. Eeee-gad! I don’t think I can go any quicker than that! The last six months have been pretty crazy! ha! 2. What interesting writing quirks do you have (like writing first draft in short hand, can only do it laying down, etc.)? 3. What sort of things do you like to do when your not writing? Movies, movies, movies! Old movies, new movies, any kind will do. We also recently purchased a little plot of land in the foothills. Since moving to the Pacific Northwest in 2007, both my hubby and I are enamored with the mountains and emerald green moss and trees year-round. I’m not really sure what the Lord has in store for our little property, but we’re going to enjoy exploring it with our Rottweiler-pitbull, Bouzer, for a few years and see what comes next. The surprises always seem to unfold when I create my timeline spreadsheet. At the beginning of each project, I set up a spreadsheet with names across the top and dates at the left side, and then I record important dates for each character: birth, death, important life events. Some dates are listed in Scripture, so they’re easily accessible. Others are guess-timates from historical texts or archaeological finds. When neither of those resources bear solid, provable dates, I get to use my imagination—and that’s when things REALLY get interesting! Piecing together the irrefutable Truth of Scripture with the sketchy facts of ancient texts and archaeological digs is so much fun. Only a few times have I ended up in tears, thinking my plot impossible. Those were the times my sweet husband or critique partners had to remind me Who was really in charge of my projects. It seems I have at least one crisis with each book. In Love Amid the Ashes, I was certain Job’s age would be a stumbling block to the eventual outcome of the book. In Love’s Sacred Song, I wasn’t sure how I could ever make Solomon likeable—a king with 700 wives and 300 concubines. (I wasn’t even sure I liked him!) And in Love in a Broken Vessel, I was certain I’d have to break the first law of engaging fiction—it must be BELIEVABLE. How would folks ever believe that a righteous man like Hosea could love—and repeatedly forgive—an adulterous wife? No way! But God’s Word said it was true, so that’s what He gave me the ability to write. THAT was a total surprise! 5. When you were a child what did you want to be when you grew up? That’s sort of a funny story. I was valedictorian of my high school class with a 4.0 grade point average, and—much to my teachers’ disappointment—I only ever wanted to be a wife and mom. I tried accounting for my first year of college and hated it, so I got an associate’s degree in general business and got married, had babies, and loved being a full-time mommy. I worked as a part-time optometric/ophthalmic assistant for many years and did some administrative work in other capacities. Anything I know about writing came from my wonderful high school English teachers, and I’ve learned lots from the writers’ conferences I attend. The Lord pierced my heart with a hunger for His Word when my kids were young. I started studying the Bible voraciously—couldn’t get enough of it and seemed to remember everything I read. Bible Study Fellowship was a huge help, and I’ve had excellent pastors through the years who taught God’s Word with integrity. In 1998, I began speaking to women’s groups at retreats and conferences, but had to cut back on travel due to health issues in 2002. Since then, writing has become my voice and my passion. God fulfilled a desire in my heart that I didn’t even know existed. Now, I can’t imagine not writing. Isn’t our God amazing? Thank you Mesu Andrews for taking time out of her busy schedule to answer my questions. Mesu Andrews’s book releases this month from Revell. 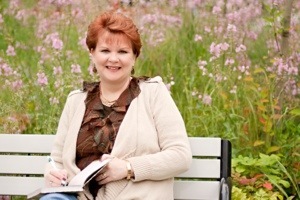 You can find out more about her and her books by going to her website. Stay tuned for my review of her book later this week. Lady Celine Wexham seems like the model British subject. Born in France but enjoying life as a widowed English countess, she’s in the unique position to help those in need or to spy for the notorious Napoleon Bonaparte. She knows what she’s doing is dangerous and could potentially be deadly, but she believes in the cause she’s fighting for. Trusting no one but her maid and chef used to be easy until she gets a very handsome new butler and her whole world is sent into a tailspin. Rees Phillips spent the past decade of his life decoding messages with little hope of moving up in the British Foreign Office. When he’s given an opportunity to potentially move up, he jumps at the chance even if it means he must don the garb and persona of a butler and spy on a woman who seems to be nothing more than a beautiful socialite. Determined to find where her true loyalties lie, his staunch loyalty to the Crown begins to fall when he starts to fall for the captivating widow. The more they spend time with each other the more they try and fight the attraction sizzling between them, but with each of them on different sides of the war it seems unlikely that they will be able to stay together. Celine must decide if her cause is worth her freedom or, worse, her life and whether she really believes that Bonaparte is best for France. Rees must decide if his loyalty to the Crown is above his newfound loyalty for Celine or whether he will lie and give up everything for her. Will Celine’s spying pay off or will Rees’s spying catch her? Will Rees and Celine be together despite the odd or will circumstance and viewpoints tear them apart? Will Rees give up England for Celine or will he turn her in despite his feelings for her? Will Celine find out I’d her butler is a spy or will se be caught unawares by his antics? Is Celine’s loyalties and spying worth her freedom or life or will she decide that it’s not as important as she thought? I haven’t had the pleasure of reading any previous books by this author until now and, frankly, I intend to remedy that. Particularly if she has anymore books involving spies. It’s a subject that’s not used too often and is a glorious treat when found. Though this book wasn’t perfect, it perfectly displays this author’s experience and passion for her topic, making this an enjoyable read. This romance was one of the best I’ve ever read. It had the right amount of passion and discretion. It sizzled but you never forget or wonder whether this book is in the Christian genre. Very few authors do that successfully and this author was one of them, making this romance more than enjoyable and an unexpected treat. I do wish that there could’ve been more overtly romantic moments throughout the book, but despite that this romance flowed really well, didn’t really lag and was near perfect. The storyline of this is amazing, in premise. The first chapter of this book was amazingly nail-biting and nerve-wracking, but the chapters after that were a bit of a let down as they didn’t exactly hold to their suspenseful predecessor. I expected an action packed, nail-biter and I got it but only in the first chapter. Unfortunately, the rest of the book wasn’t as exciting, but the storyline did flow well and was a good story, it just wasn’t what I expected. Every aspect of this book flowed together really well showing this author’s experience and talent. The cover of the book is incredible and is just eye catching on its own add a spy story as you have readers hooked, however, the actual content of this book doesn’t really live up to the cover or synopsis. It’s a little disappointing, but it’s still an enjoyable read and is a story that is a little off the beaten path and isn’t something that’s seen everyday. That alone makes this book a good one. This author, though new to me, isn’t new to the published book world and it shows in every page of this book. Though this book wasn’t what I originally expected and hoped for, her attention to detail and the flow of her books makes her an author that I fully intend to read more from and look forward to her next book. I recommend this author and this book. Overall, this is a good book, by if your looking for an intense nerve-wracking book, look elsewhere. 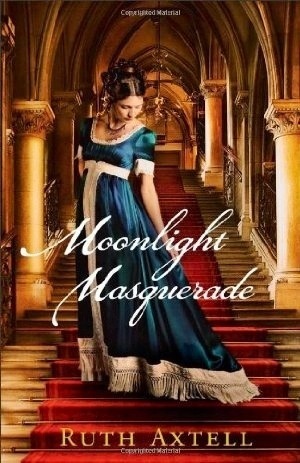 This book is perfect for people who love regency fiction, historical fiction, romances, or just books that are slightly different. I think this book is best kept to the adults. I give this book a three and a half out of five.